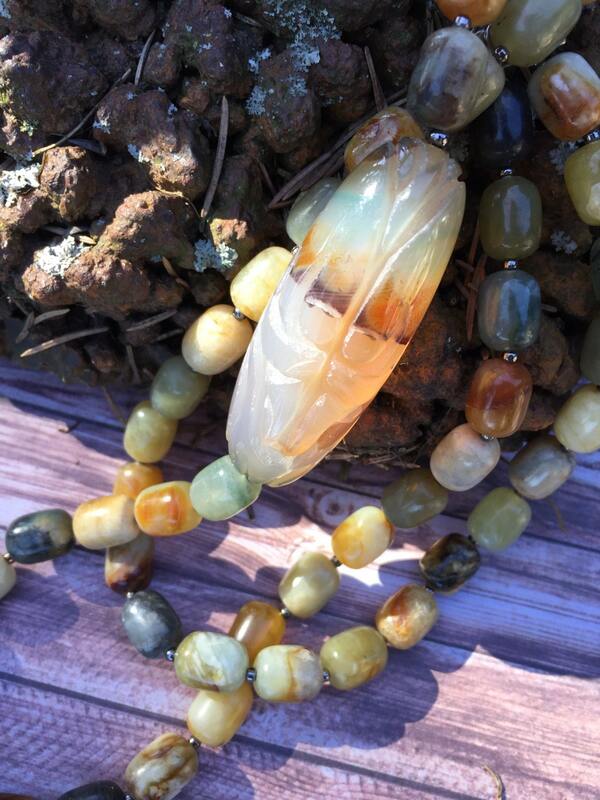 Also see more of her work in the Fall and Winter issues of Belle Armoire Jewelry magazine too! 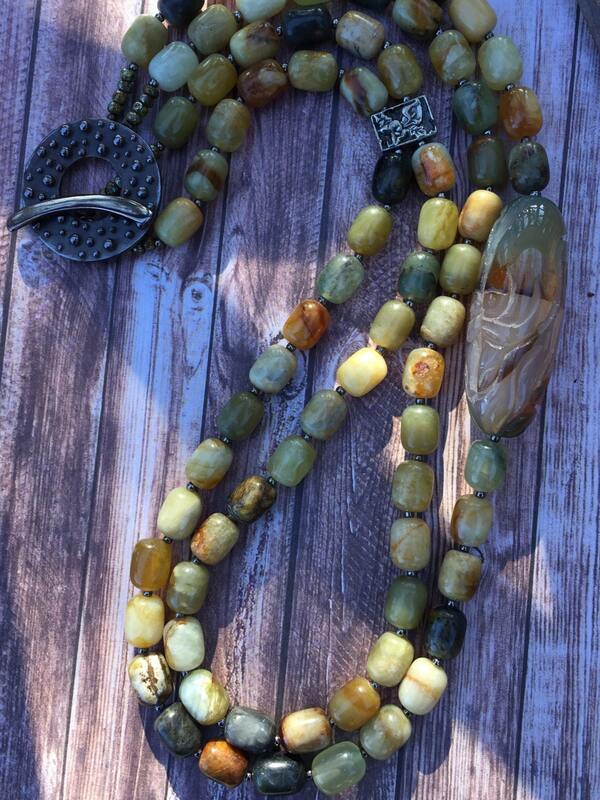 Couture OOAK handcrafted OREGON COAST necklace by Susan Ray. 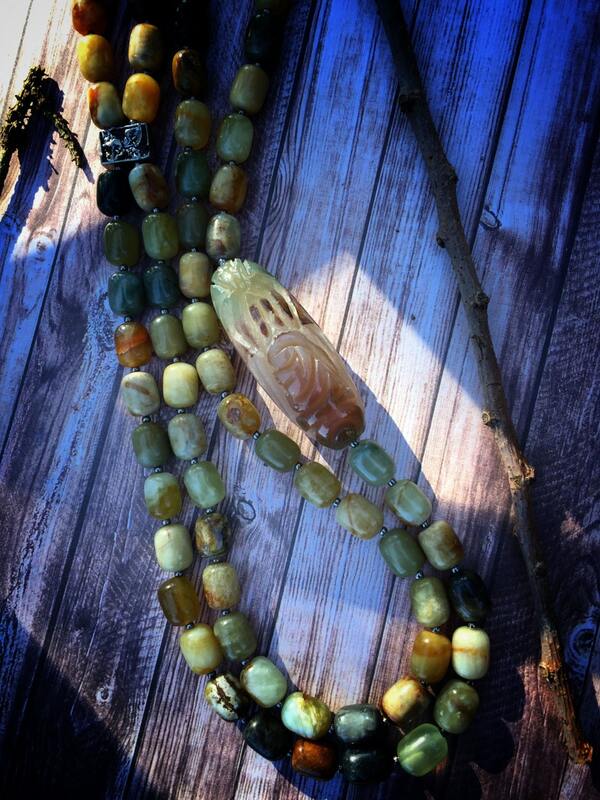 The statement necklace contains a hand carved translucent agate 2" x 3/4" barrel bead in hues of greens, browns and amber. 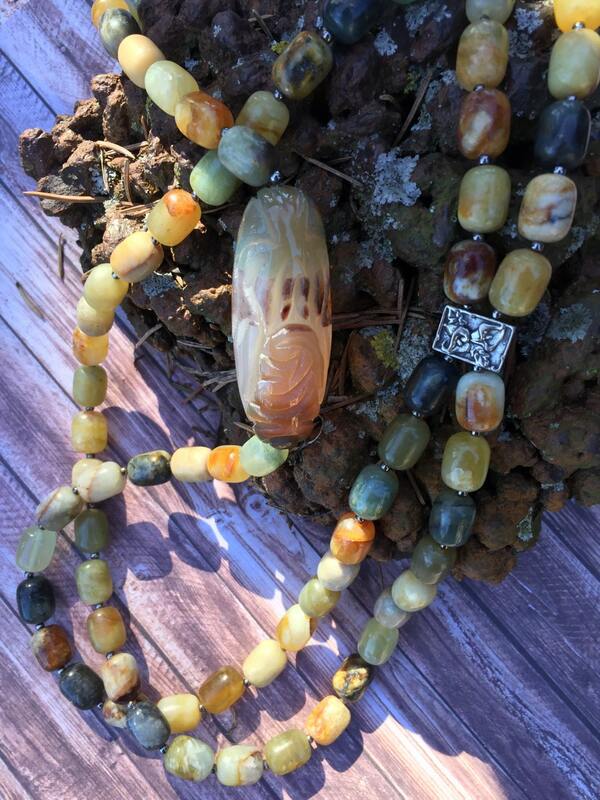 It is surrounded by two graduated rows of hand polished agate barrel beads in earth tones. Tiny garnet seed beads separate the barrels. Even tinier round, bronze crimps and hybrid Czech E-beads sit at the toggle. The 1 3/8" bronze toggle clasp was created by Saki. There is a small 1/2" two holes sterling silver bead near the neckline. It is patina'd with the same bronze color as the toggle but the patina doesn't readily show up in the photos (must have been the sunlight)? 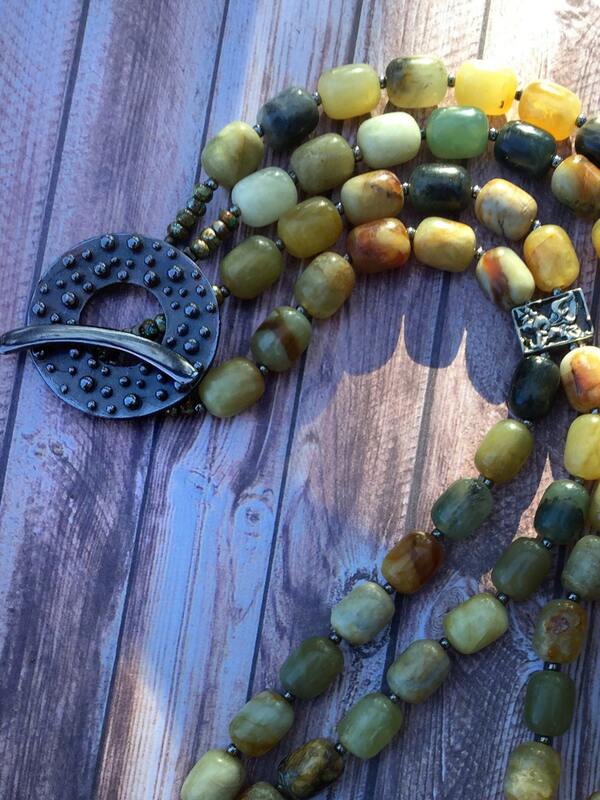 The necklace measures approximately 13.5" on each side with a closed toggle clasp. I hope you will love it for a lifetime!